Today's app is another one for our popular essential apps section (which is a big hit, especially among new iPhone owners looking to get all the essential iPhone apps they need). 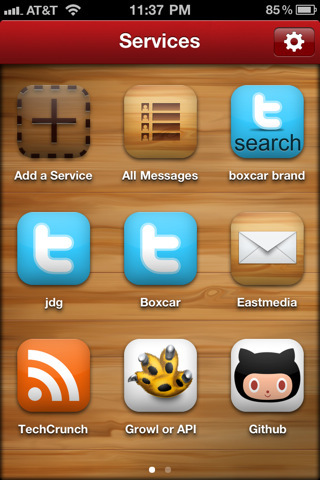 Boxcar is THE app you need for getting any kind of push notification on your iOS device. That simple. Drop everything, get it now (it's free, don't worry). Now that you've got it, let me explain to you what it is and why you need it. Once you setup a service you want to get notifications for you close Boxcar and pretty much never have to see it anymore. It just registers your device to get notifications for that service. If you setup Boxcar with Facebook, for example, Boxcar will send you a push notification anytime you receive a notification or message on Facebook. So when someone comments on your status - you'll know. 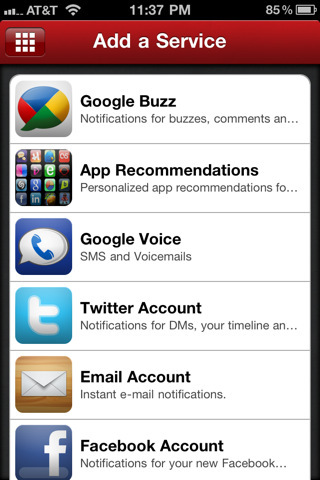 And when you open the push notification on your iPhone it will automatically open the Facebook application for you as well. 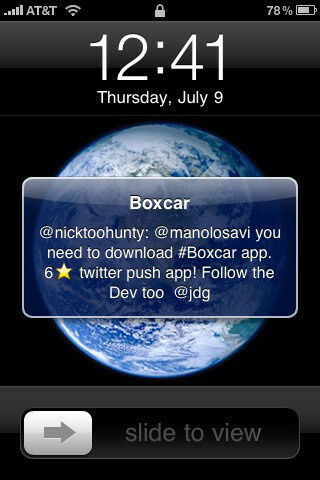 So if there's any service that you use and want to get notifications straight to your phone, get Boxcar. It's that simple.